anuary 17, 2017 was declared a holiday in the Southern Tamil Nadu State of India. This was to acknowledge and celebrate the birth centenary of Marudur Gopalan Ramachandran or MG Ramachandran who served as chief minister of Tamil Nadu for 10 years from 1977 to 1987. It is the political party he founded in 1972 -- the All India Anna-Dravida Munnetra Kazhagham -- that is in power today in the State. Various events were held throughout Tamil Nadu to honour the memory of a larger-than-life personality known to millions of people by three letters of the English alphabet denoting the initials of his names - MGR. MGR though ethnically a Malayalee made a name for himself as an actor in Tamil films and followed it up by becoming the Chief Minister of Tamil Nadu State. MGR who started acting in minor roles from 1936 got his major break as lead actor in 1947. Thereafter for 30 years till 1977 he was the uncrowned king of Tamil cinema as the biggest box office attraction of them all. The swashbuckling actor starred as an action hero in more than 100 Tamil films. In a film career spanning four decades from 1936 to 1978, MGR acted in 136 films. Most of his movies minted money at the box-office. This was the time when the magical initials MGR was a household name in the Tamil-speaking homes of countries with a substantial population of Tamils, including India, Malaysia, Singapore and Sri Lanka. MGR had a huge following of fans in Sri Lanka during the time he sparkled on the silver screen. Among his fans in the Island were a large number of Sinhalese and Muslims too. MG Ramachandran also took to politics and was first appointed a member of the State upper house known as the Legislative Council in 1962. He was later elected as a member of the Legislative Assembly in 1967. Thereafter he was returned to the Lower House or Legislative Assembly in the state elections of 1971, 1977, 1980 and 1984. MGR became Chief Minister of Tamil Nadu in 1977 and remained undefeated till his death in 1987. MGR’s life was a rags-to- riches tale that I have written about earlier. However it is a story worth re-relating on the occasion of Ramachandran’s birth centenary. I shall strive to do so while relying on some of my earlier writings on the MGR phenomenon. Significantly enough a commemorative event was held in Jaffna too on January 17 to mark MGR’s birth centenary. A number of Sri Lankan Tamil politicians were present at the commemoration. 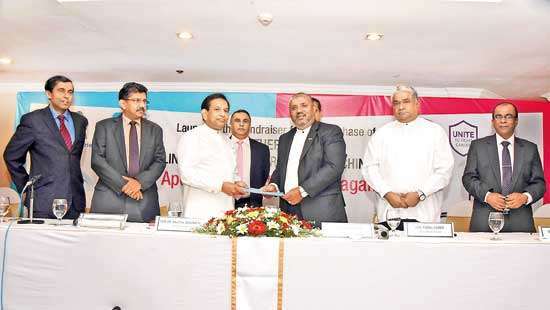 The chief guest was the Indian Consul-General in Jaffna, A. Natarajan. The Indian diplomat who is a native of Tamil Nadu described MGR as Sri Lanka’s gift to India because the popular actor-politico was born in Kandy. Natarajan’s observation about MGR being Lanka’s gift to India needs to be taken with a pinch of salt as Ramachandran’s parents were not Sri Lankans but Indians staying temporarily in the Island. But the fact remains that MGR was born in Sri Lanka. MGR was born to Malayalee parents as Marudur Gopalamenon Ramachandar in Hantane, Kandy on January 17, 1917. His father, a native of the present day Kerala State in India, was at that time teaching in an estate school in Kandy. MGR, the youngest of the five children born to his parents, grew up in Kandy till he was two. In 1919 the family returned to India. MGR’s family had been prosperous at one time but had later run into difficulties. MGR’s father Gopalamenon (Menon denotes a caste suffix which MGR dispensed with later) was a magistrate serving in places like Trichur and Ernakulam. MGR’s mother Sathyabhama was a not-so-well-educated housewife. There were five children in all. Four were born in India. They were two boys named Chakrapani and Balakrishnan and two girls named Kamalaatchi and Subathra. The youngest born in Sri Lanka was given the name Ramachander at birth. M.G. Ramachander later altered his name to Ramachandran. Three of the five children died in their infancy. Only the eldest Chakrapani born in 1911 and the youngest Ramachander born in 1917 survived. Meanwhile the magistrate-father fell into trouble over an ethical issue. He was interdicted pending a disciplinary inquiry. A chagrined Gopalamenon resigned and sought fresh employment elsewhere. Sri Lanka during the period of British rule was a powerful magnet for many unemployed or underemployed people of South India. Thus Gopalan or Gopalamenon obtained a teaching job in the Island and moved to Kandy where Ramachander was born. However Gopalamenon fell ill and in 1919 returned to India with his family. They took up residence in a place called Othappaalam where Gopalan started tutoring children from rich families. Tragedy struck in 1920 as Gopalan passed away due to an illness when young MGR was only three and Chakrapani nine. The mother Sathyabhama then relocated to Kumbakonam where her brother Narayanan’s family was residing. Chakrapani continued his studies at the Aanaiaddy School in Kumbakonam. A few years later Ramachander also started going to the same school. Sathyabhama called Sathya struggled to bring up her two sons. She worked as a domestic servant doing cleaning in Brahmin homes. After awhile brother Narayanan suggested that Chakrapani should give up school and find work because of the family’s precarious financial state. Narayanan himself was attached to the drama troupe ‘Madurai Original Boys Company’. The troupe specialised in staging plays with young boys as actors. Uncle Narayanan found a place for the nephew at the drama company as an actor. A few years later Ramachander also followed his elder brother’s footsteps and joined the Boys Company. Both brothers toured many places as drama actors. Meanwhile the cinema industry began taking root in India. The silent movies gave way to talkies and film-making became a craze. Many film companies hired stage actors to act on screen also. Young Ramachander got his first chance in films when the film ‘Sathi Leelavathy’ was made in 1936. The Director was Ellis R. Dungan, an American. MGR got a role playing a detective’s role. He was only 19 at the time. MGR was paid Rs.100 in advance for the film, which he promptly sent to his mother Sathya. MGR’s career as a film actor proceeded in fits and starts. Though he had the necessary looks, physique and martial arts skills required by an actor, MGR lacked a good singing voice. In those days the main actors had to sing in their own voices on screen. A Tamil film of yore had song sequences numbering double digits. The inability to sing deprived MGR of opportunities to act in lead or meaty roles. He had to be content with minor roles. MGR acted in only 20 films during the years 1936 to 1947 . His name was displayed as M.G. Ramachander in the titles then. The film song sphere in the Tamil movie world got a fillip in the forties of the last century. Instead of compelling actors to sing in their own voices, filmmakers introduced the art or craft of playback singing. The songs would be sung by reputed singers and recorded. The actors on screen would lip sync accordingly. Thereafter the sound track and film track would be synchronized accordingly via re-recording. This innovation enabled actors lacking singing talent to get main or lead roles in films. "MG Ramachandran also took to politics and was first appointed a member of the State upper house known as the Legislative Council in 1962. He was later elected as a member of the Legislative Assembly in 1967. Thereafter he was returned to the Lower House or Legislative Assembly in the state elections of 1971, 1977, 1980 and 1984"
The novelty of playback singing was like manna from heaven to MGR. A noted singer, M.M. Maariyappah, began to voice for MGR in films. In later years singers like T.M. Soundararajan, Seergali Govindarajan, S.P. Balasubramaniam and K.J. Yesuthas voiced for MGR. T.M. Soundarajan is regarded as the best playback singer voice for MGR. M.G. Ramachandran was picked by Jupiter films to play the hero in the film ‘Rajakumari’ (Princess). The Telugu actress Malini was the heroine. The vamp role was played by a Jaffna Tamil woman Thavamanidevi who made great waves in Tamil films those days. The buxom lass from Jaffna had no qualms in showing skin and was an overnight sensation. ‘Rajakumari’ was a roaring success commercially. MGR now began getting more lead roles. In most films he played an action hero. Soon he became a popular actor whose films were box office hits. The magic initials “MGR” began garnering an incredible number of fans. Even as MGR was tasting triumph as an actor, tragedy struck. His mother Sathya passed away in 1950. Thereafter MGR began to treat his mother as a divine being and worshiped her portrait daily. He also named the studio he acquired as Sathya Studios and floated a movie production company called Sathya Movies. His residential estate in Ramaavaram was also called Sathya Thottam (Garden). The death of his mother was not the only blow suffered by MGR. He lost his first wife Paarkavi a.k.a. Thangamani in 1942 after two years of married life. His second wife Sathaananthavathi whom he married in 1943 was afflicted with tuberculosis and was bedridden for many years. She died in 1962. MGR’s third wife was V.N. Janaki an actress herself. Cupid’s arrows pierced their hearts when they first acted together in the film ‘Marutha Naattu Ilavarasi’ (Princess of Marutha Country). Though MGR and Janaki fell in love they could not get married formally as both were married to other persons. MGR was married to Sathaananthavathi and Janaki to another artiste named Ganapathy Bhatt. Janaki separated from Bhatt and filed for divorce. She obtained a divorce after protracted legal proceedings. She began living together with MGR from 1959 but could not marry him because his wife Sathaanandavathy was alive. It was only after her death in 1962 that Janaki and MGR got married legally in 1963. Janaki survived MGR and passed away in 1996. She also succeeded MGR as chief minister of Tamil Nadu for a brief period in 1988. MGR acted in 116 films during the period from 1947 to 1978. He gave up acting in 1977 after he became Tamil Nadu Chief Minister. His last film ‘Maduraiyai Meetta Sundarapaandiyan’ (Madurai Liberator Sundarapaandiyan) was released in 1978. MGR himself directed parts of the film and completed it after the Director B.R. Panthulu died before shooting was over. Twelve of MGR’s films were silver jubilee hits running for over 25 weeks each. Another 68 films ran for more than 100 at theatres during their first screenings. Even the MGR films that did not run for a 100 days initially turned out to be money-spinners in the long run as each re-release brought large audiences to theatres. MGR had a formula of his own in the films he acted in. The story had to be sentimental with displays of mother-son love or brother-sister affection. Despite ups and downs and twists and turns, the good guy had to triumph in the end. Needless to say MGR was always the good guy except in a few films in the early stages of his career. The films had to have a positive message imparting a lesson to the people. The hero was regularly portrayed as a paragon of virtue who fights for justice on the side of the oppressed. The hero sings philosophical songs. Besides these features, a typical MGR film always had thrilling fight scenes and titillating love song sequences. MGR got the finest villain actors to play opposite him. Likewise MGR always had the loveliest actresses as his scintillating heroines on screen. Among actresses MGR paired with apart from Janaki were B.S. Saroja, Madhri Devi, Anjali Devi, Bhanumathy, Padmini, Vyjayanthimala, Saroja Devi, Savithri, Devika, Jamuna, Rajasulochana, K.R. Vijaya, Jayalalithaa, Vanishree, Lakshmi, Manjula, Latha and Radha Salujah. Of these stars, MGR has acted in the most number of films with Jayalalithaa as leading lady. It was well-known that MGR was infatuated with the alluring actress with whom he paired in 28 films. Though unmarried, Jayalalithaa was regarded as the love of MGR’s life. Jayalalithaa’s passport to success in the film world was her second Tamil film ‘Aayirathil Oruvan’ (One Man in a Thousand) where she played leading lady to MGR. Despite the 32-year difference in age, the MGR-Jayalalithaa duo was a hot pair. Among their other successes were ‘Chandrothayam,’ ‘Muharasi,’ ‘Kavalkaran,’ ‘Thanipiravi,’ ‘Olivilakku,’ ‘Rahasiya Police 115,’ ‘Adimai Penn,’ ‘Maatukkaara Velan,’ ‘Engal Thangam,’ ‘Kumari Kottam,’ etc. MGR’s last film with Jayalalithaa was ‘Pattikkaattu Ponnaiyah’ (Village Rustic Ponnaiyah) made in 1973. There was a time when MGR in a movie called ‘Thanipiravi’ (Unique Being) played Lord Muruga and Jayalalithaa his consort Valli in a dream sequence. A picture of both together as Murugan and Valli was framed and worshiped by many. According to some observers MGR had some kind of a foot-fetish for Jayalalithaa. In many of the films they acted together in, there were scenes of MGR touching Jayalalithaa’s feet like removing a thorn from her sole or massaging a sprained ankle. Apparently Jayalalithaa’s erstwhile leading man had a fixation for her feet. MGR himself underwent two transformations as his acting career blossomed. Firstly he changed his name to Ramachandran from Ramachander. Nevertheless it was as MGR that he was widely known. Secondly, he joined the ranks of the newly-formed Dravida Munnetra Kazhagham (DMK) led by C.N. Annadurai known as “Anna” or elder brother. In Tamil Nadu it was the DMK which first attempted to use cinema for political propaganda in the post-independence years. Annadurai had once said that if it took 10,000 political meetings to convey one message, it only took one single ‘hit’ movie to deliver the same. 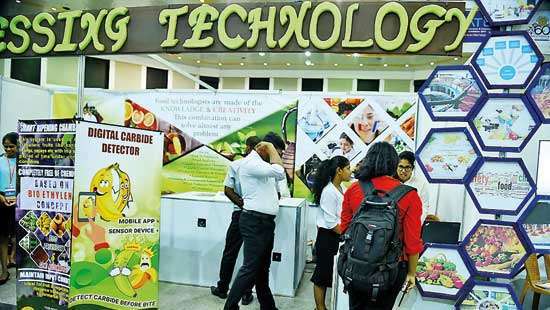 He and his disciple Karunanidhi set out on that venture. Films scripted by Annadurai were well-received, and its political content made great impact. But it was Karunanidhi who really hit it big as a script-writer.
" MGR became Chief Minister of Tamil Nadu. His followers who dubbed him earlier as “Puratchi Nadigar” or ‘Revolutionary Actor’ now hailed him as “Puratchy Thalaiver” (Revolutionary Leader). MGR was elected Chief Minister again in 1980 and 1985 after his party won at the polls. He died in harness as Chief Minister in 1987"
Karunanidhi developed a writing style called “Adukku Mozhi” that was flowery and alliterative, and which soon became very popular. 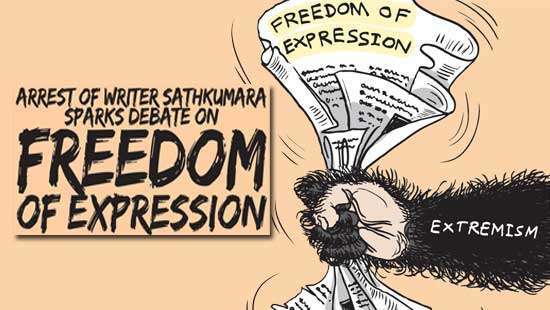 There were others to follow Karunanidhi in both content and style -- Aasaithamby, Krishnaswamy, Maaran (Karunanidhi’s nephew) and Kannadasan.The DMK also spawned a school of actors who could effectively mouth the lines of the script writers. One of the early greats was the comedian N.S. Krishnan who was followed by a host of “Dravidian School” actors like K.R. Ramaswamy, M.R. Radha, T.V. Narayanaswamy, S.S. Rajendran (SSR) and Sivaji Ganesan. The last two in particular were able to deliver the flowery and fiery prose of Karunanidhi with great conviction and style. Personal differences arose between Sivaji Ganesan and Karunanidhi, and the actor crossed over to the Congress. To make up for Ganesan, Karunanidhi, whose dialogues were increasingly getting political, weaned an actor from the Congress camp into the DMK fold. This was none other than M.G. Ramachandran. When the DMK began using actors for political propaganda, the Congress leader Kamaraj dimissed them derisively as Koothaadigal (performers). But the Congress had to soon change roles and rely on people like Sivaji Ganesan and lyricist-script writer Kannadasan who had crossed over from the DMK. Even as film stars were used for political propaganda, the film stars in turn were using politics for their personal advancement. M.G. Ramachandran himself began constructing and consolidating a personal political base. Even when he starred in films not written by DMK ideologues, the lines he delivered on screen carried hidden political meaning. An example was the constant reference to the morning sun (Udhaya Sooriyan), the DMK symbol. In his roles, MGR always fought for the underdog against tyranny and injustice. He took special care to project a social message in most songs, and took care to act in different roles so that different segments of the population could relate to and identify with him. The movies, titled simply but astutely, in which he played lead roles include ‘Padagotti’ (Boatman), ‘Meenava Nanban’ (Fisherman Friend), ‘Thoilaali’ (Worker), ‘Vivasayee’ (Agriculturist), ‘Rickshawkaran’ (Rickshawalla) and so on. These occupational groups began treating MGR as one of their own. So powerful and lasting has been the MGR legacy that, decades after his death, the crowds cheer madly at the mere mention of his name at election meetings in Tamil Nadu. A unique feature of the relationship between the movie stars of the Indian south and their fans was the proliferation of fan clubs. These clubs would hold special poojas in temples whenever a new movie of their matinee idol was released. Milk would be poured on cut-outs of actors and camphor lit. M.G. Ramachandran probably encouraged the phenomenon of fan clubs from late 1940s onwards, and the clubs ended up as a well-knit federation that counted its membership in the millions. The clubs held annual conventions and also participated in social service projects. When MGR entered active politics, his fan clubs were in turn politicised and soon became an indispensable component of the DMK propaganda machine. In MGR’s case both spheres mutually reinforced each other — film popularity providing political mileage and political positions strengthening film popularity. It was not long before MGR was rewarded with political office. MGR was made first an Upper House member of the state legislature. Later he contested the State Assembly elections directly and won continually in each election from 1967 to 1984 until his death in 1987. The DMK formed the administration in Madras state re-named by the party as Tamil Nadu. The popularity of MGR within the DMK party and Tamil Nadu state caused major convulsions. In a bid to counteract the phenomenon, Karunanidhi encouraged his son M.K. Muthu to enter movies. The father, while in office as Chief Minister, wrote the story and dialogue for Muthu’s first film ‘Pillaiyo Pillai’ (Oh, What a Son). Muthu fan clubs were set up overnight, with father Karunanidhi’s backing. MGR, realising what was in store, engineered a split within the party in 1972 on the grounds of corruption charges against the incumbent regime. Incidentally, MGR did not have any problems in setting up new party structures -- he merely converted his fan clubs into party branches. The MGR phenomenon was no doubt unique, and his mystique continues its hold over the Tamil psyche even today. Before his death, he had come to personify the aspirations of the common people but as more than just a symbol. As political leader, he was also seen as a vehicle for realising their dreams. "The novelty of playback singing was like manna from heaven to MGR. A noted singer, M.M. Maariyappah, began to voice for MGR in films. In later years singers like T.M. Soundararajan, Seergali Govindarajan, S.P. Balasubramaniam and K.J. Yesuthas voiced for MGR. T.M. Soundarajan is regarded as the best playback singer voice for MGR"
MGR formed the Anna-Dravida Munnetra Kazhagham (ADMK) after splitting from the DMK in 1972. In forming his new party MGR retainined the name of DMK with an added prefix - Anna derived from the DMK founder -leader C.N. Annadurai popularly called “Anna”.MGR later amended the Anna-DMK to AIADMK or All-India Anna Dravida Munnetra Kazhagham. MGR incurred much mirth among political pundits when he stated that his party ideology was a blend of “capitalism, socialism and communism.” He called it “Annaism” after Annadurai as in the instances of Marx -marxism or Mao - Maoism.MGR had the last laugh on his detractors when his party romped home as winners in 1977. MGR became Chief Minister of Tamil Nadu. His followers who dubbed him earlier as “Puratchi Nadigar” or ‘Revolutionary Actor’ now hailed him as “Puratchy Thalaiver” (Revolutionary Leader). MGR was elected Chief Minister again in 1980 and 1985 after his party won at the polls. He died in harness as Chief Minister in 1987. Prime Minister Rajiv Gandhi bestowed upon him posthumously the “Bharat Ratna” which is the highest civilian honour in India. MGR’s involvement with the politics of Sri Lankan Tamils was extremely interesting. 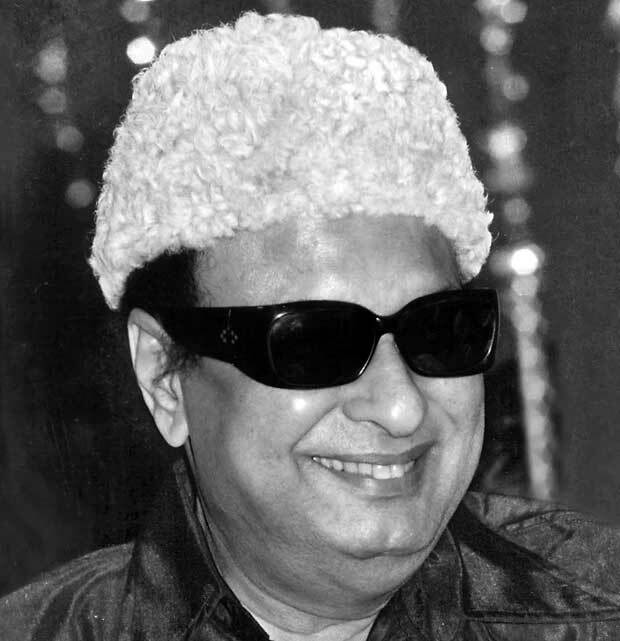 MGR was reluctant as an actor to identify himself with the Sri Lankan Tamil cause at one point because he did not want to risk offending his Sinhala fans in the Island. He openly stated so in a meeting in London in 1973 and aroused the ire of Sri Lankan Tamils present. The very same MGR later transformed into a strong supporter of the Liberation Tigers of Tamil Eelam(LTTE)led by Veluppillai Prabhakaran after “BBlack July”in 1983. He even went to the extent of openly providing crores of cash to the tigers. MGR’s convoluted understanding of Sri Lankan Tamil politics and his complex relationship with the LTTE requires a more detailed analysis on another occasion. After MGR’s demise on December 24, 1987, his wife Janaki succeeded him as Chief Minister for a brief spell of 24 days in January 1988. MGR’s party fragmented into two with Janaki leading one faction and Jayalalithaa the other. Later Janaki bade adieu to politics and both factions united under MGR’s former leading lady. Jayalalithaa led MGR’s party to victory in the elections of 1991, 2001, 2011 and 2016. Jayalalithaa, symbolised the transition from the MGR era to the present. It was MGR who had, as Chief Minister, inducted Jayalalithaa into politics. She was hailed as MGR’s political heir and was called “Puratchi Thalaivi” – the feminine equivalent of Revolutionary Leader. It has been said in lighter vein that MGR was the only Tamil Nadu Chief Minister whose wife as well as paramour succeeded him. Jayalalithaa passed away unexpectedly in December last year. O. Pannerselvam was sworn in as chief minister of the AIADMK administration. This then is the story of MGR – the Malayalee actor-politico – who reigned supreme in Tamil Nadu for more than 40 years in both cinema and politics. MGR ruled Tamil movies as the most popular and commercially successful matinee idol hero for 30 years. He followed it up as an electorally invincible Chief Minister of Tamil Nadu for 10 consecutive years. The life of the man known as MGR has indeed been an outstanding journey along the highways of cinema and politics in Tamil Nadu. And it all began 100 years ago at Hantane in Kandy on January 17, 1917.